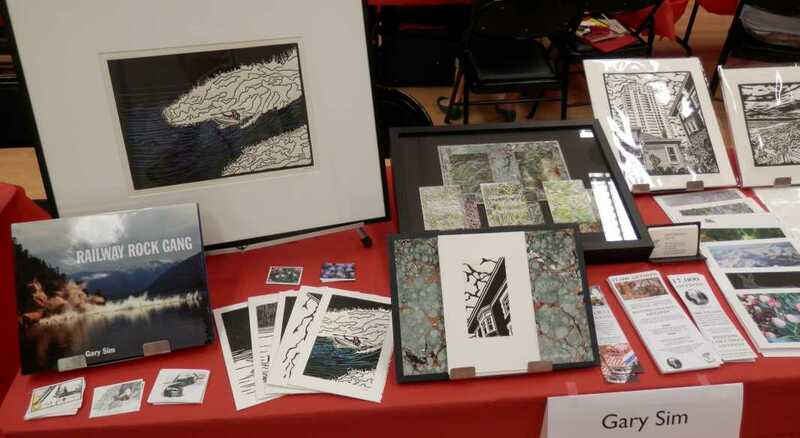 JULY 16 from 10:00 A.M. TO 1:00 P.M.
Once again the Canadian Bookbinders & Artists Guild has invited me to display with them at their annual exhibition at the Vancouver Public Library. Sim Publishing has signed up for two tables, on which a wide variety of drawings, prints, etchings, books, cards, and stamps will be available for perusal and purchase. Please visit the group's BLOG for more information on the group and their activities. Some recent art stamps will be on display. Sim table at 2014 CBBAG exhibition. Prints from the recent NOMAN series of drawings will be available for purchase indivually or in sets. 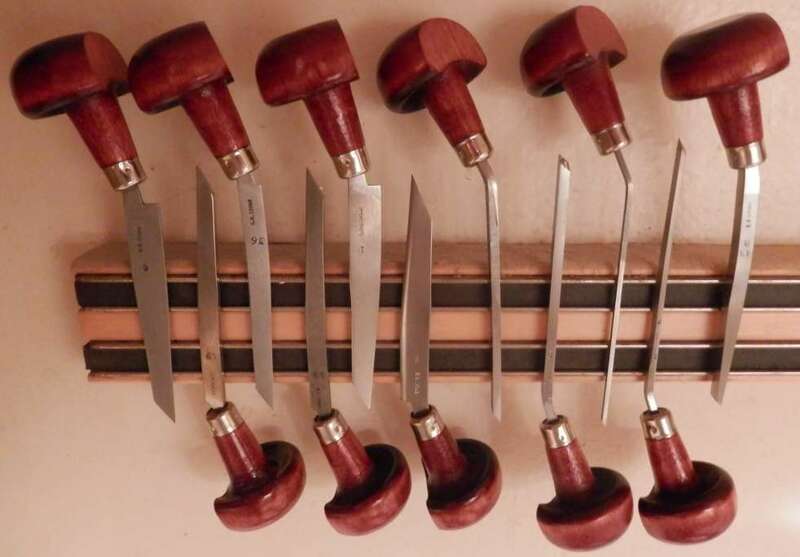 Of special interest to some will be a sale of wood engraving tools and endgrain blocks. Purchased a few years ago for a commissioned engraving, they have not been used since, so it makes sense to let someone else have them who will put them to use. All are high-quality E.C. Lyons tools, made in USA, in as-new condition. E.C. Lyons engraving tools for sale.